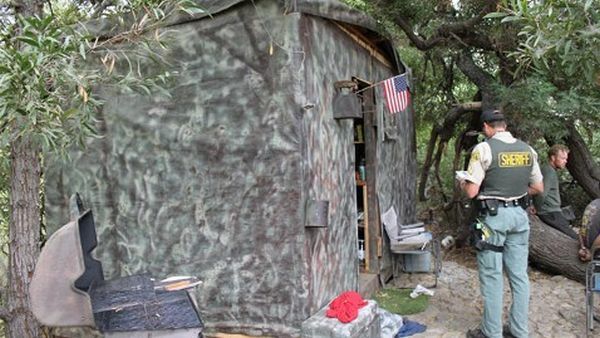 In a surprise finding Los Angeles Sheriff Department (LASD) found that three men were living in an illegally created handmade hut in the Tujunga Ponds Wildlife Sanctuary near Pasadena. Even more surprising is the fact that one of these men, Robert Downs (51 years old) claims to be living in LA Country Park for more than a year’s duration. 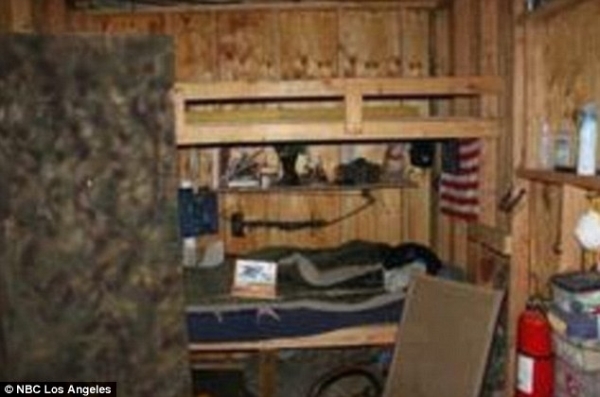 The dwelling was very well camouflaged with marijuana planted around its surrounding and made from household tools, had tables, shelves and even built0in-bunk beds. On the outside too the handmade hut had a rock patio, complete with barbeque grills and tables and even a fire extinguisher. The main reason behind non detection of this home is due to the excellent camouflaging with felled trees, camouflage tarp and paint. Marijuana grown around the hut area also doesn’t land downs in a very good stead with authorities as he is now held for $30,000 bail while the other two accomplices, one 30 year old and other one 45 year old man from Sun Valley were cited and released later on.